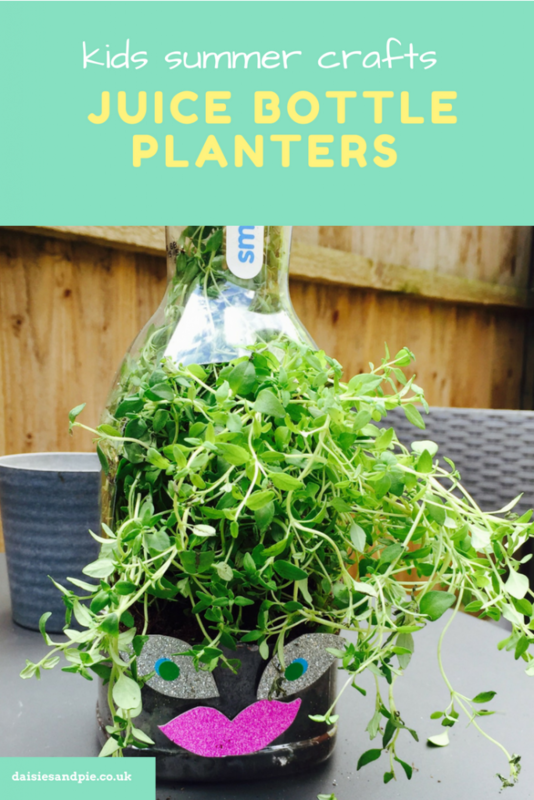 We just love these juice bottle herb planters. 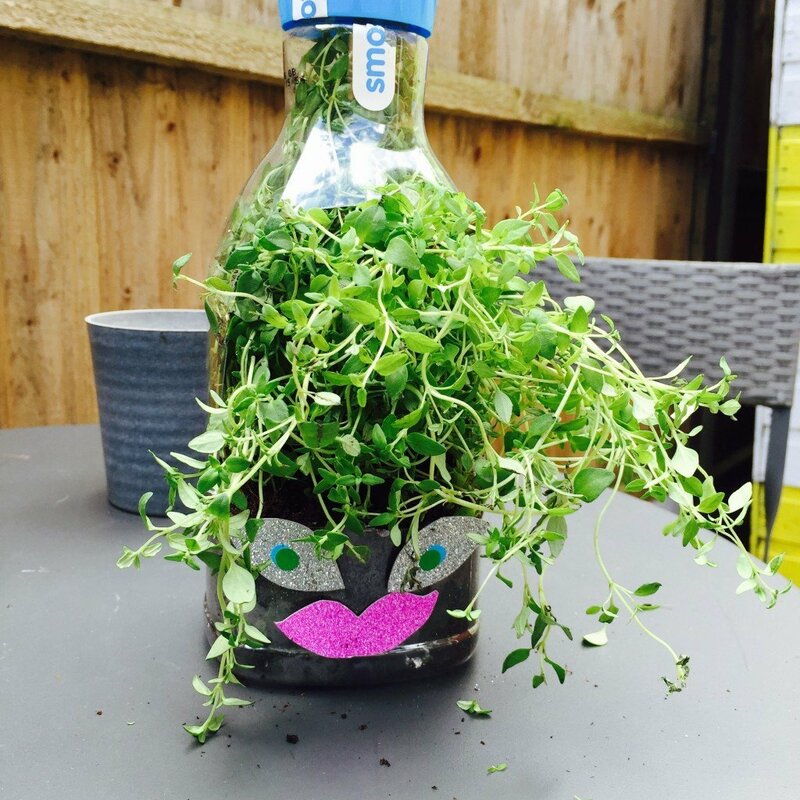 They make a great gardening activity for kids, the juice bottle acts like a mini greenhouse so the herbs grow faster and best of all you’ll get lots of fresh herbs throughout the summer. 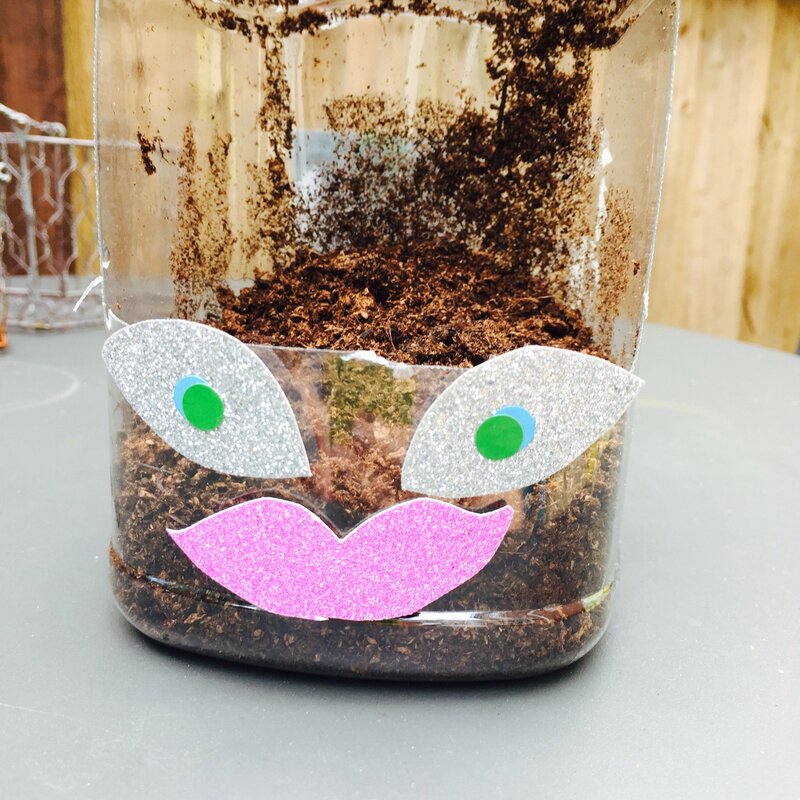 You can make these herb planters with kids of any age, although younger kids may need a little help with the cutting. juice bottle, choose one of the big chunky ones as there’s more room for the herbs to grow. 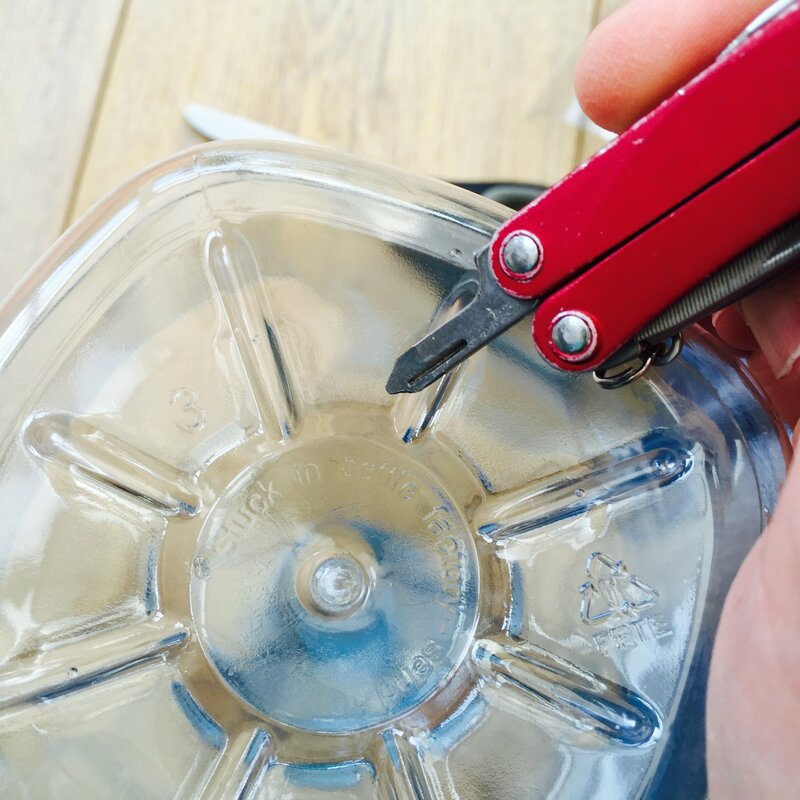 Cut an opening in the side of the juice bottle using scissors. Pierce drainage holes into the bottom of the bottle. 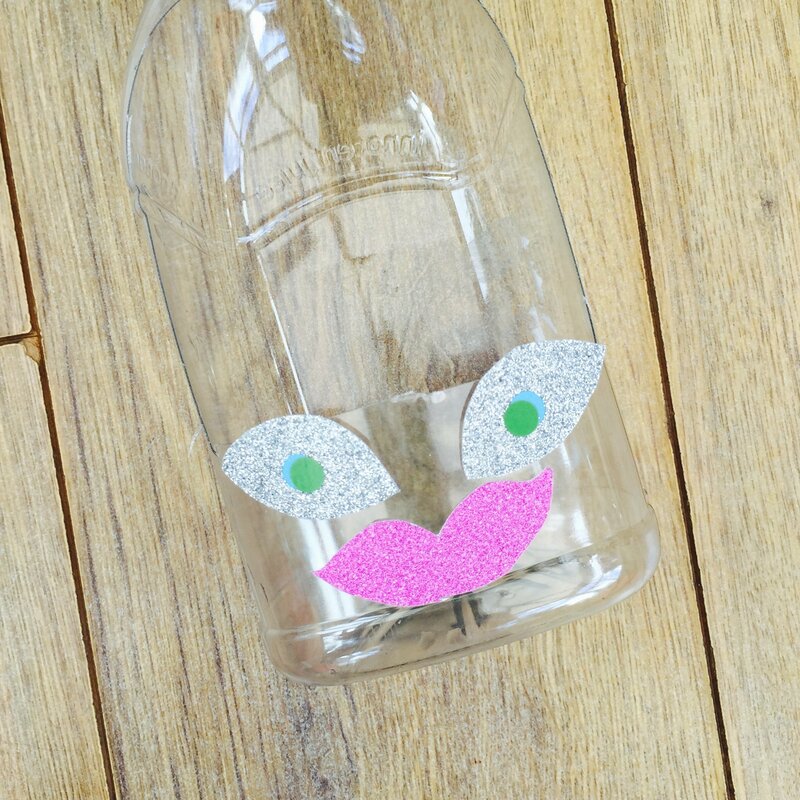 Decorate the juice bottle with stickers – we love to make little faces. 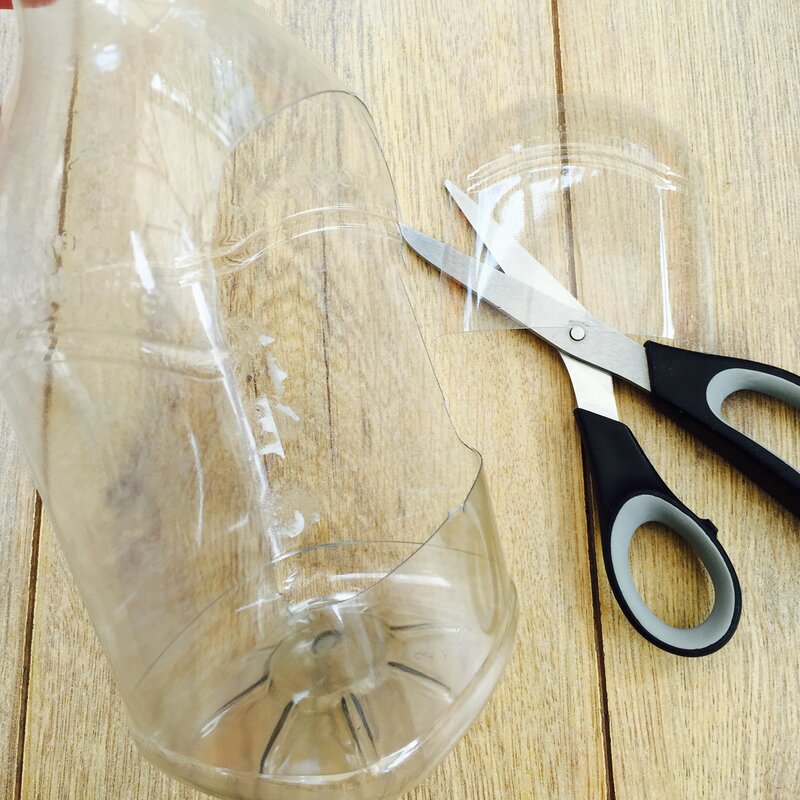 Fill the bottom of the juice bottle with compost and sprinkle in the herb seeds. Water regularly and watch the herbs grow.